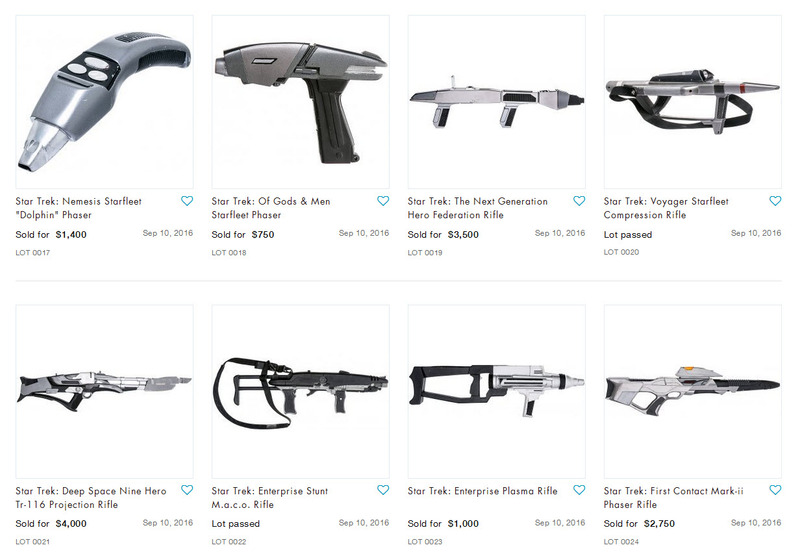 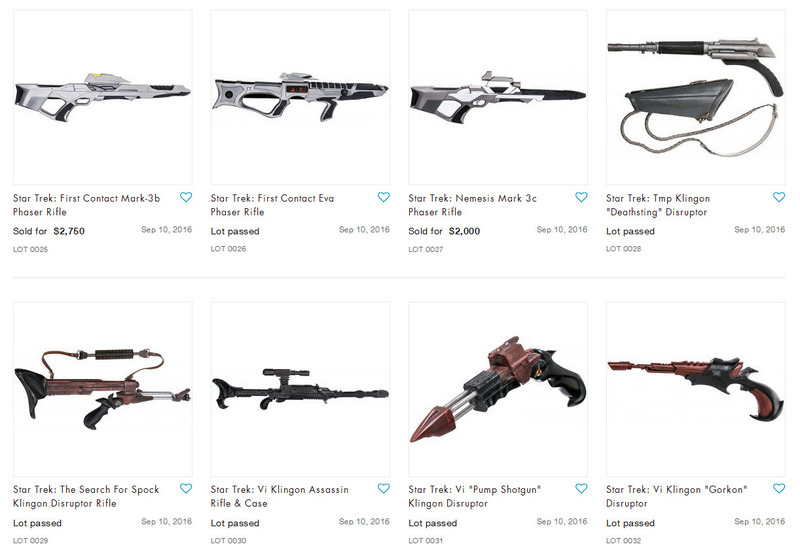 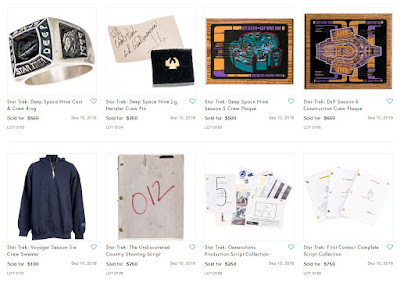 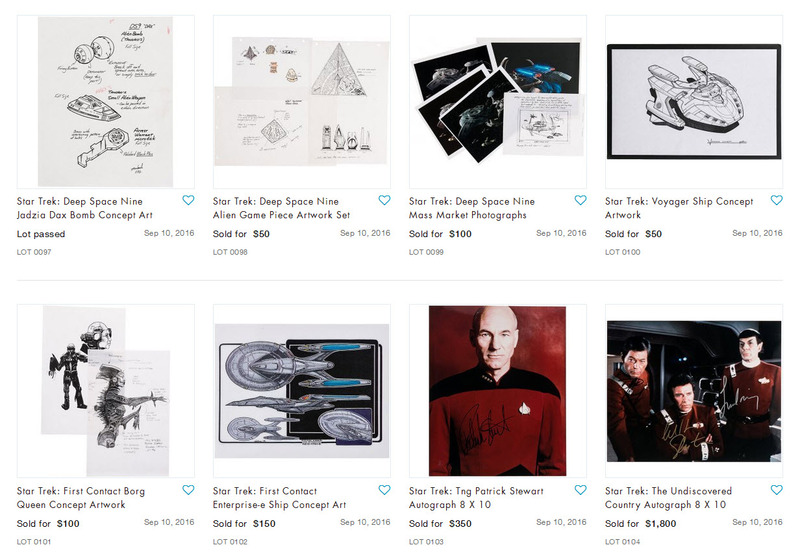 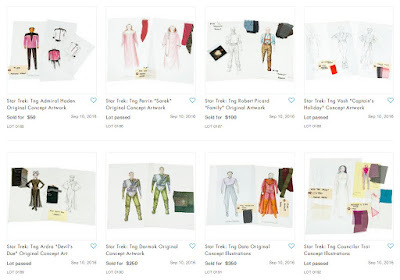 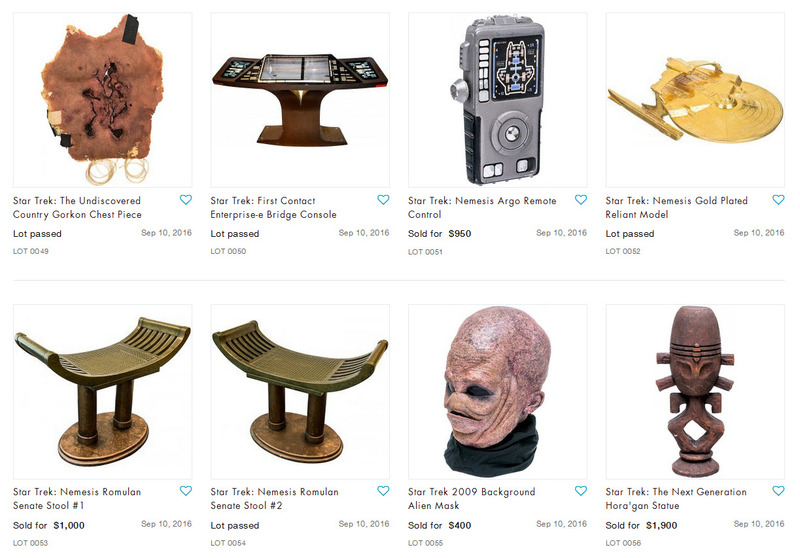 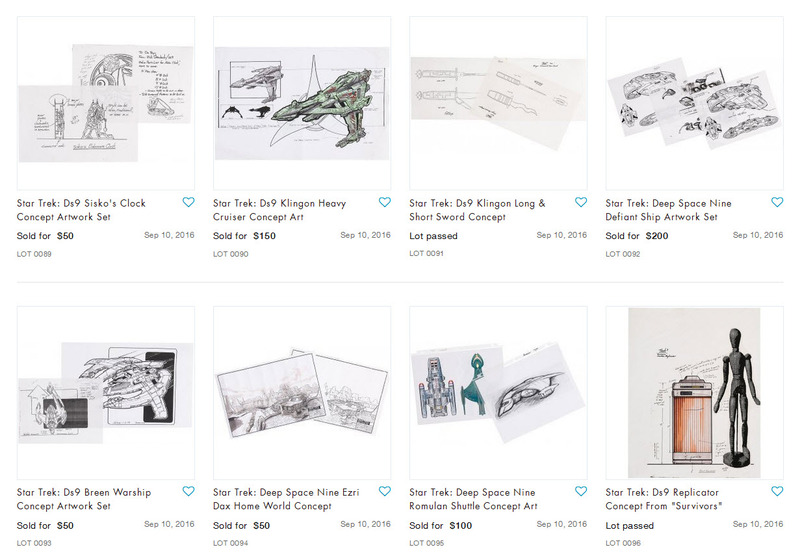 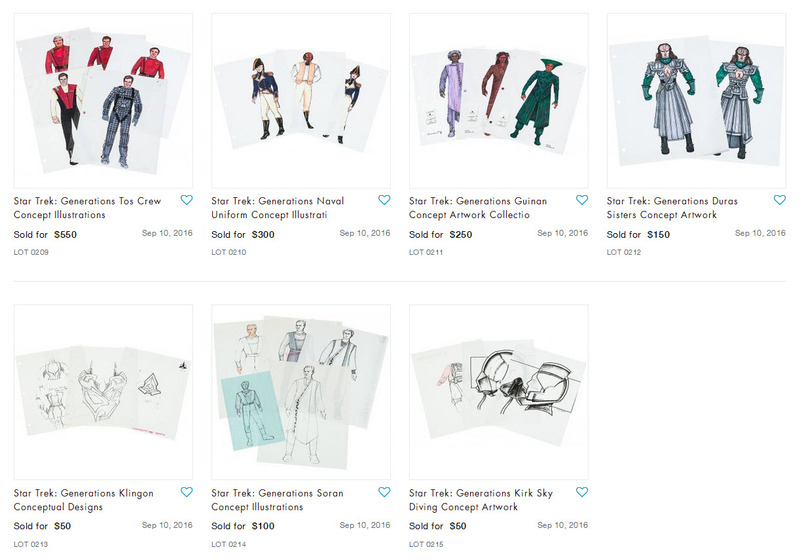 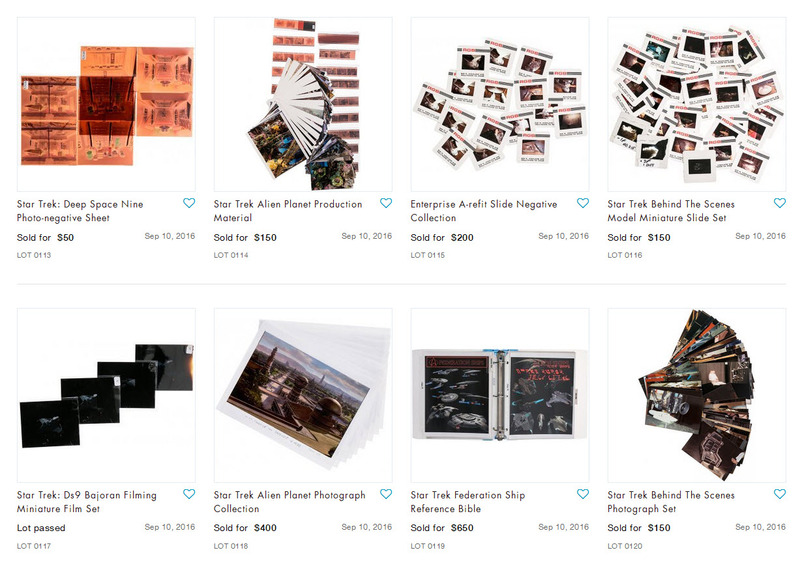 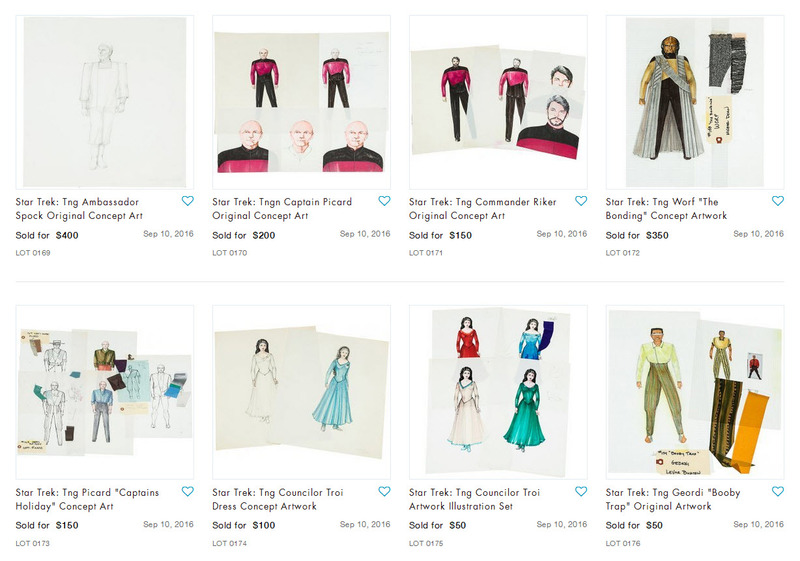 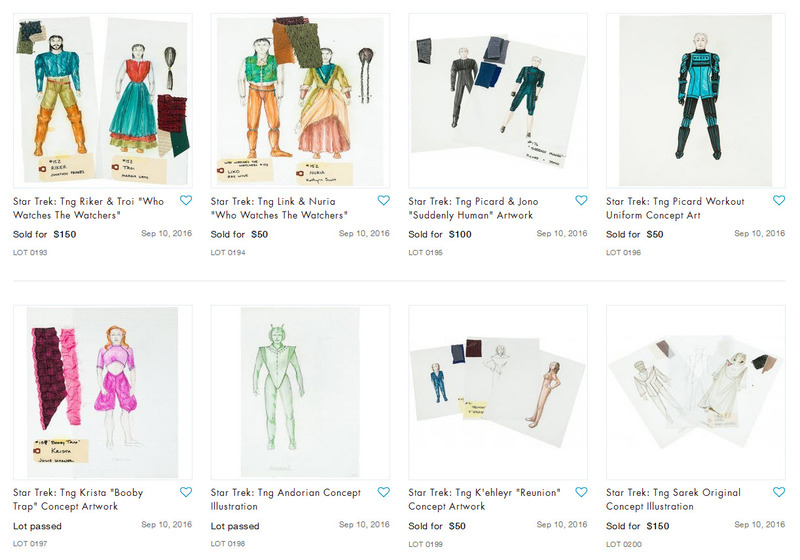 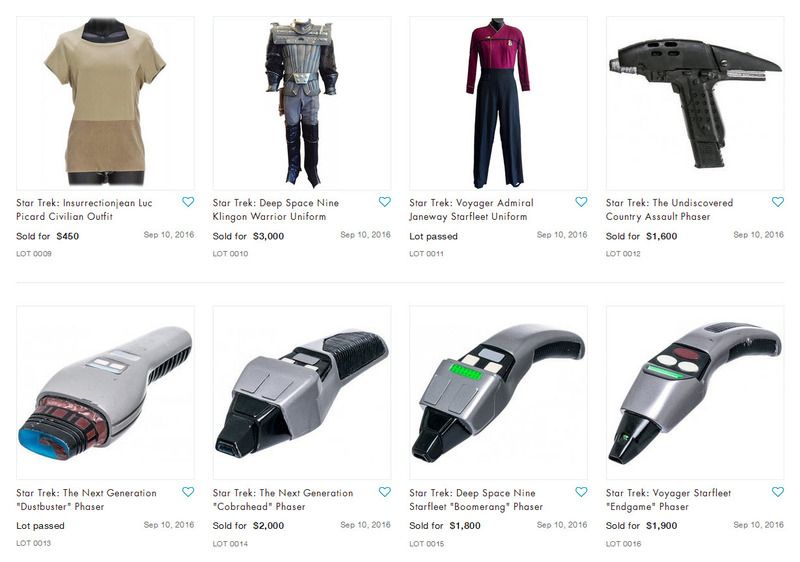 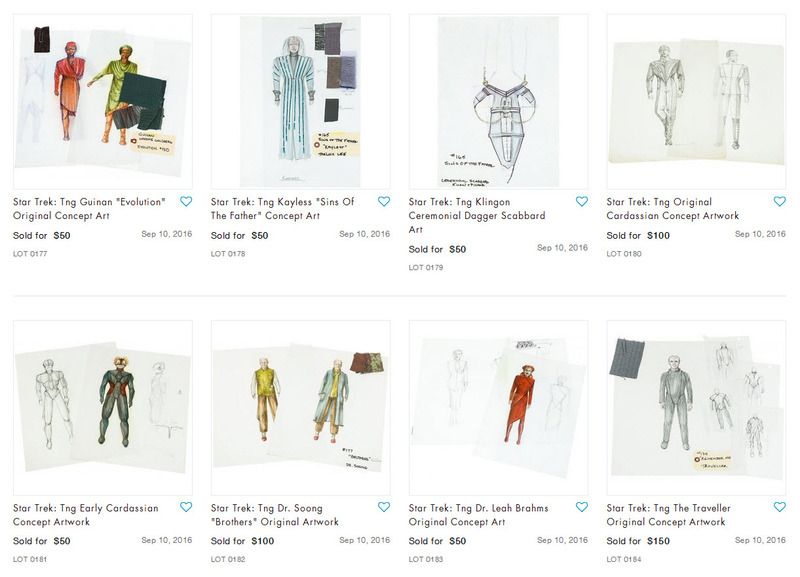 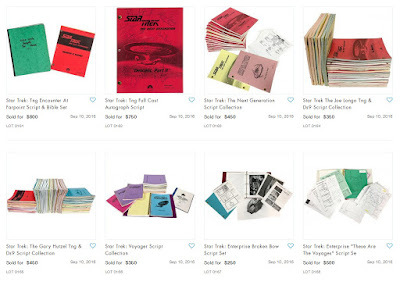 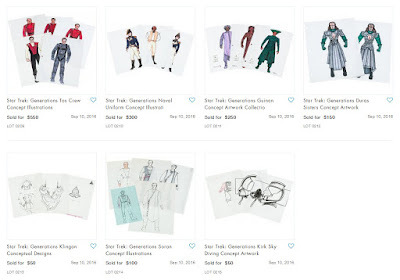 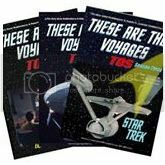 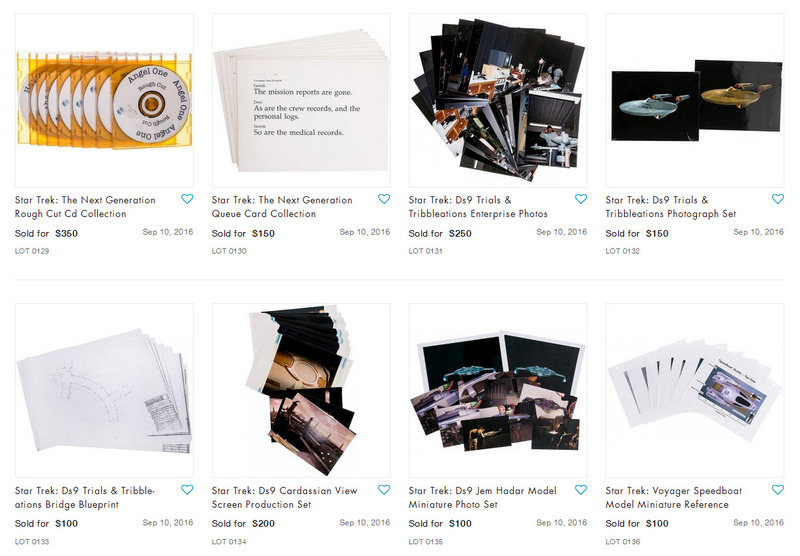 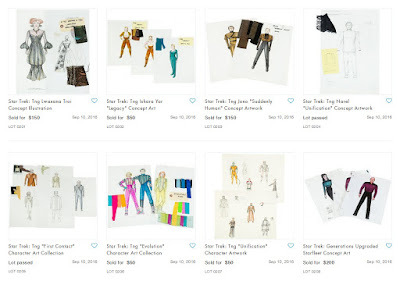 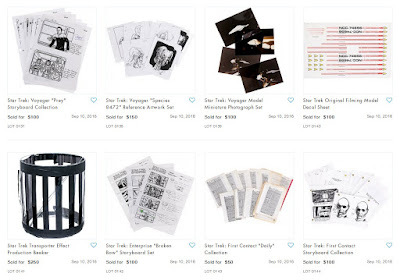 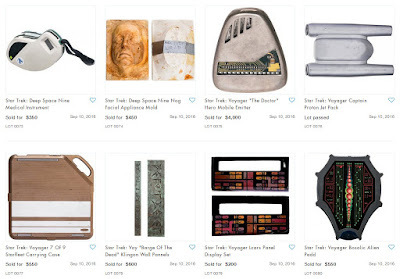 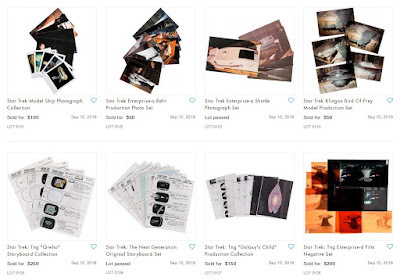 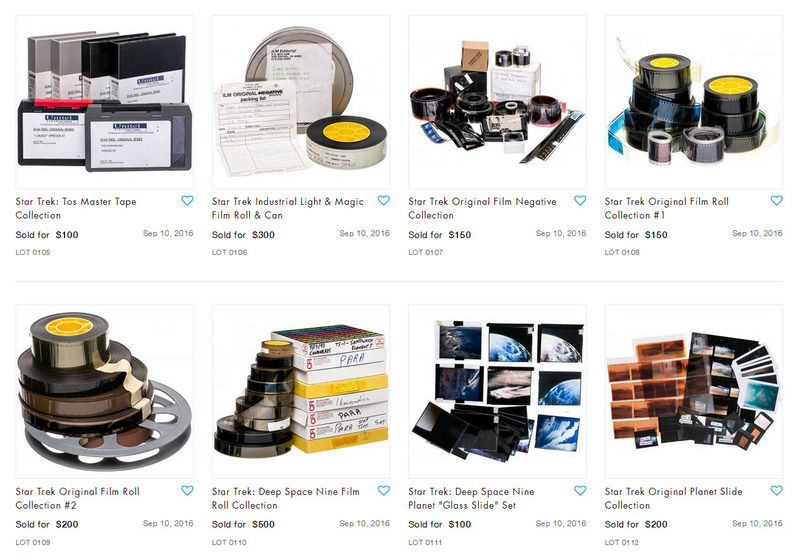 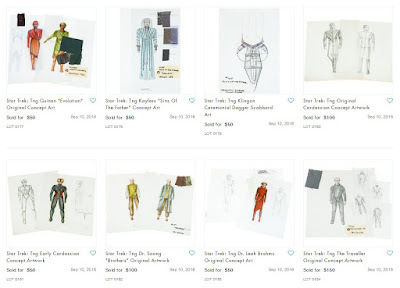 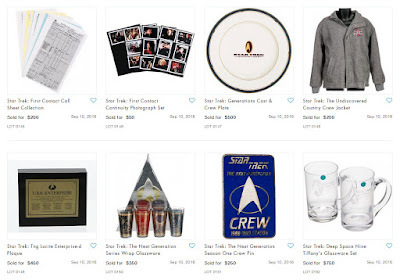 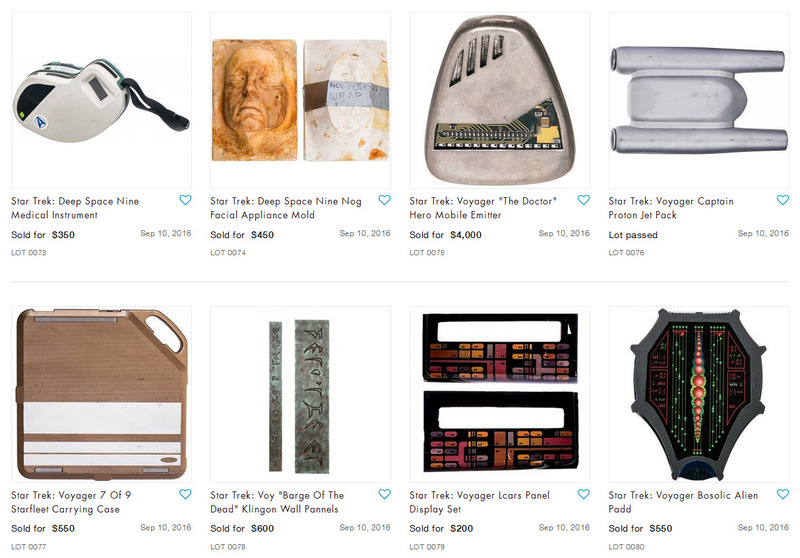 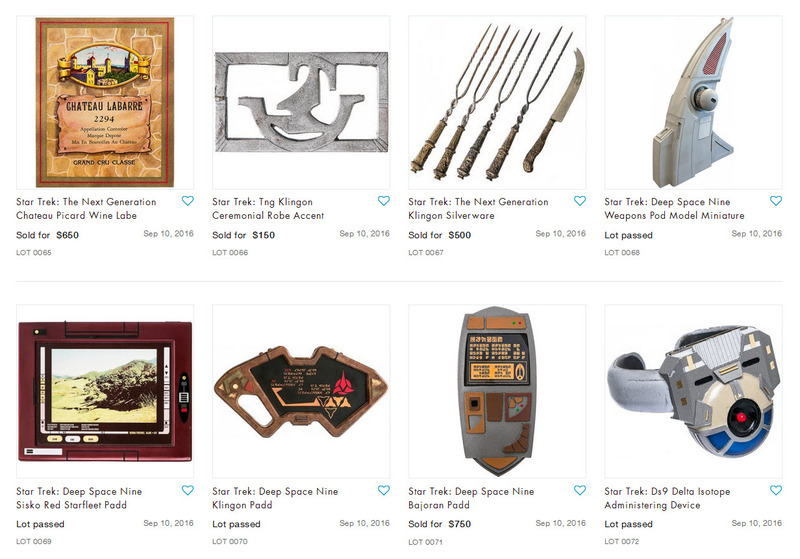 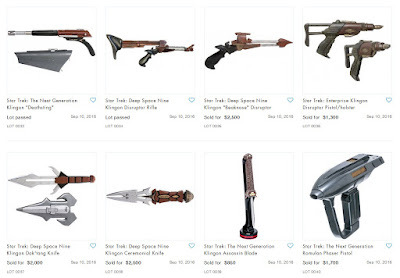 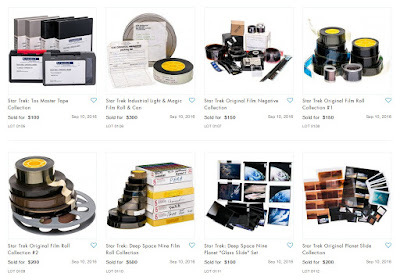 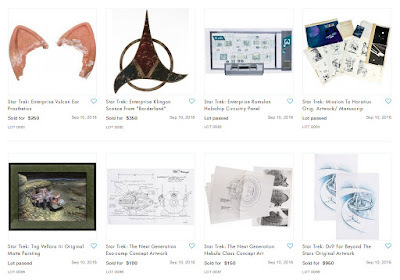 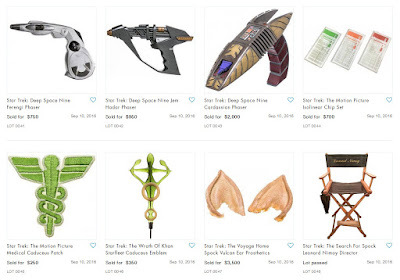 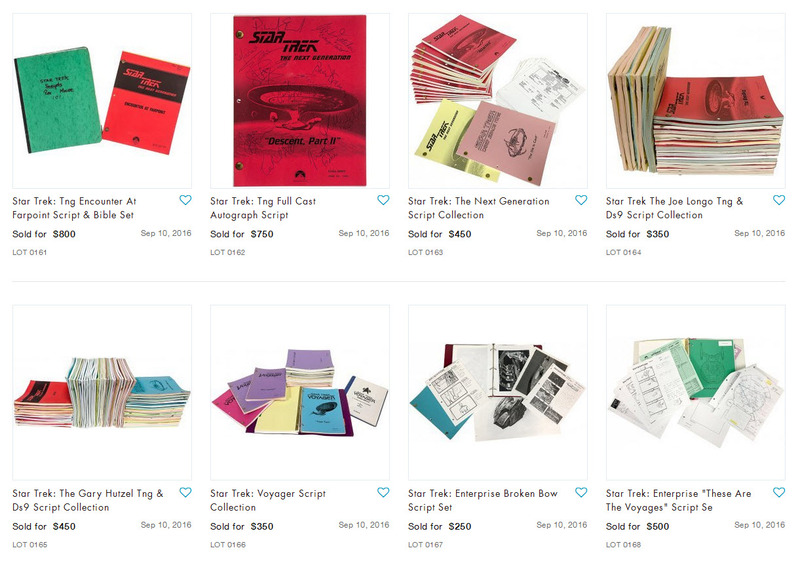 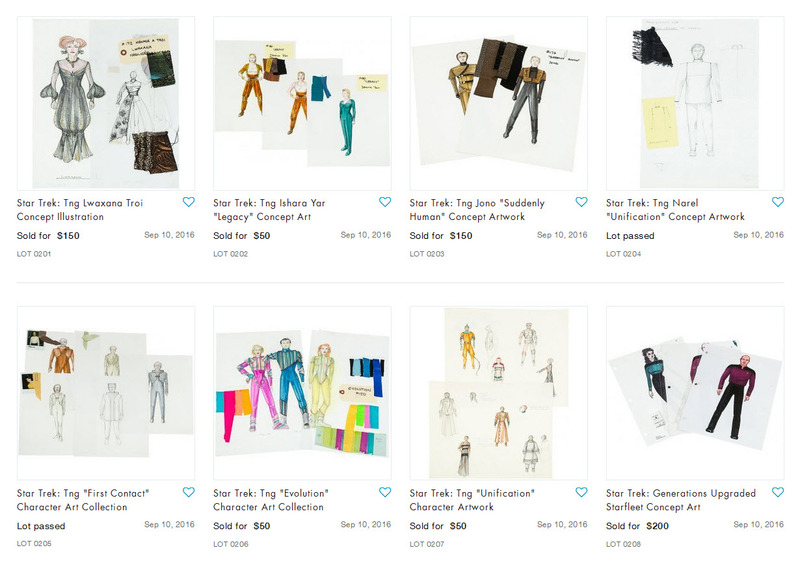 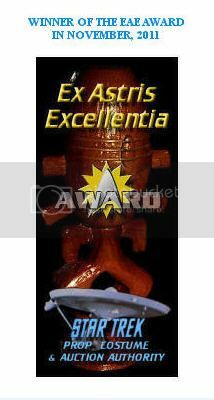 Presented below is the complete set of final prices realized for the 215 lots of Star Trek memorabilia that were offered in the Propworx Star Trek Auction IX event; which concluded on Saturday September 10th in a live online bidding session hosted through LiveAuctioneers.com. 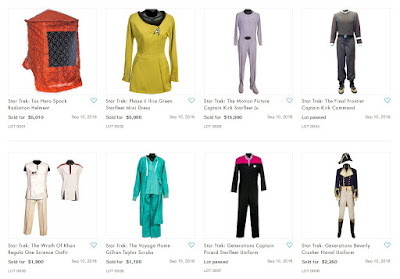 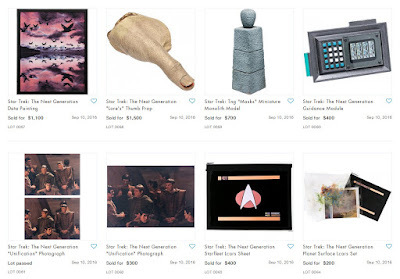 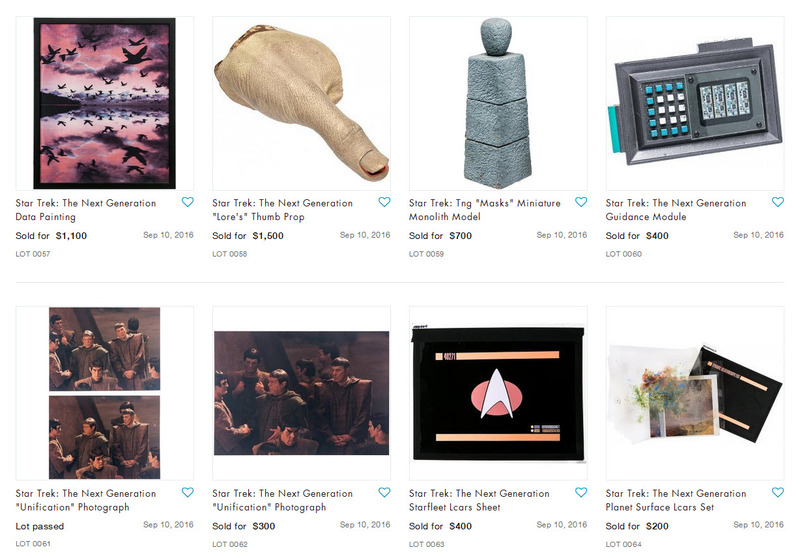 The most expensive item that sold in the auction was a William Shatner screen worn Captain Kirk Class D Starfleet Uniform from ST:TMP, which realized a high bid of $15,000. A Leonard Nimoy worn orange TOS Radiation Helmet from the 1st season episode "The Naked Time" witnessed a high bid of $5,010, and a Star Trek: Phase II Starfleet Command Mini Dress worn by Persis Khambatta in an early wardrobe test photo shoot sold for a maximum bid of $5,000.